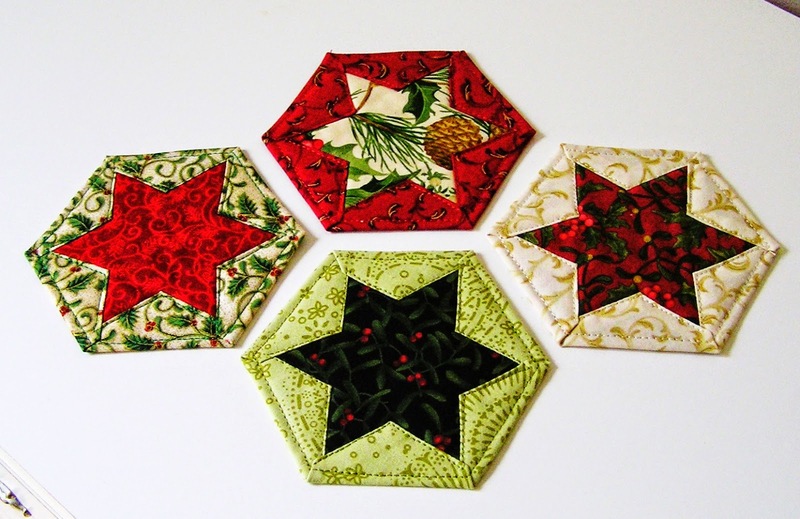 These Christmas Stars are so quick and easy to create. 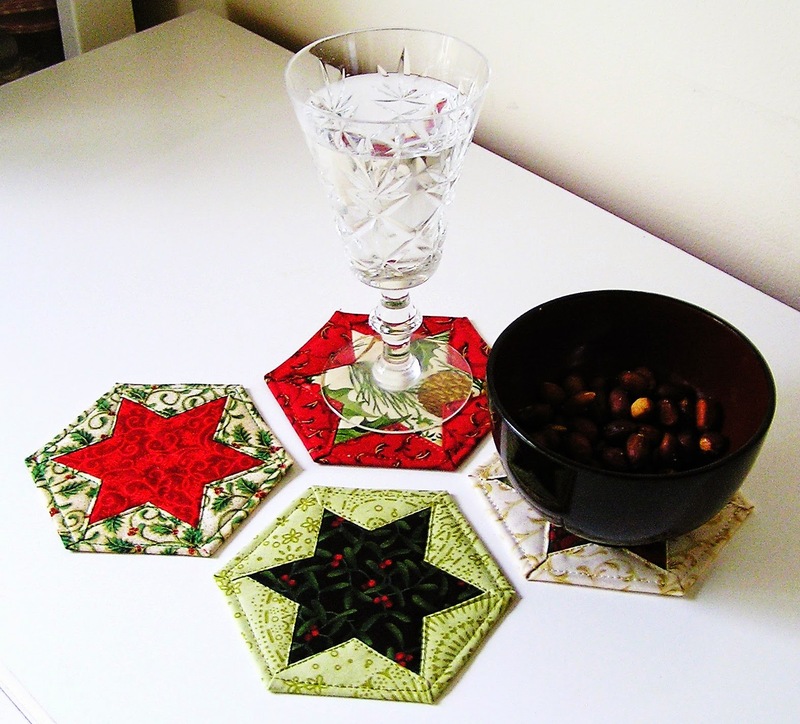 They can be used for Christmas tree decorations, strung together as a Banner, or as I use them as Coasters. They are just the right size and take little fabric to construct. Use a variety of fabrics and play with patterns or plain. Seasonal or Festive. Your imagination can run wild. The pattern is not mine, but was found on the website www.kiwiquilts.co.nz a couple of years ago; and I keep referring back to them for inspiration. The pattern consists of two 'nesting hexagons' when turned on point the larger one acts as the backing and binding to the front to form the 'Star'. With a little piece of wadding to act as an insulator in between the layers, if using as coasters.